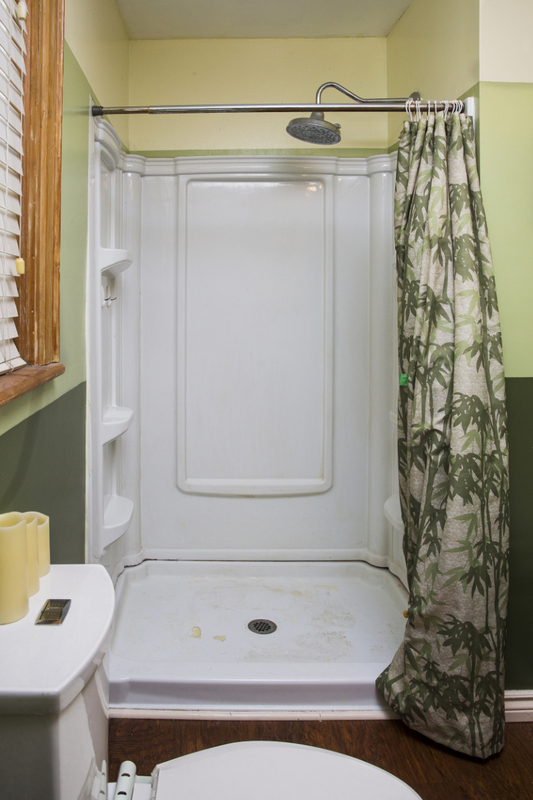 Are you frustrated with your shower? You’re not alone . . . let me tell you a little story. 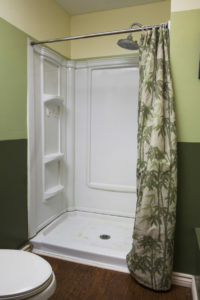 I had my clients meet me at a Home Show and they were kind enough to share with me the fact that they had an old shower that they were no longer enjoying. 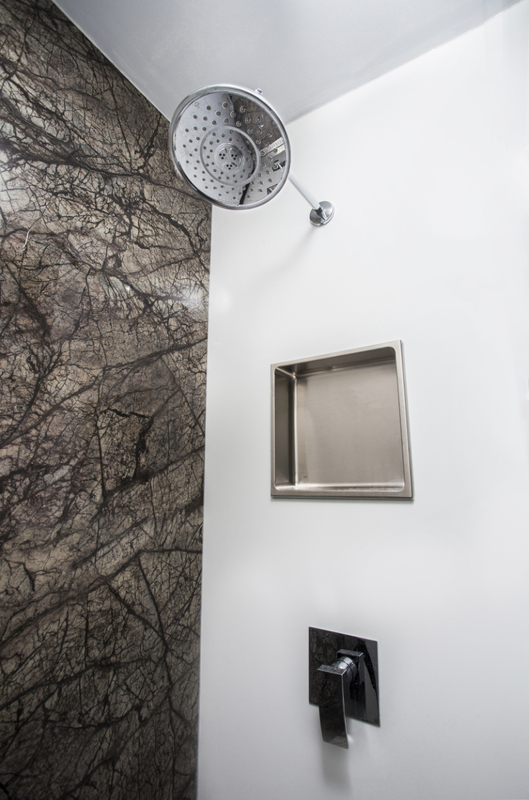 I asked them to take some pictures of their shower and meet with me at the Elegant Bathrooms Stoney Creek showroom to discuss it further. 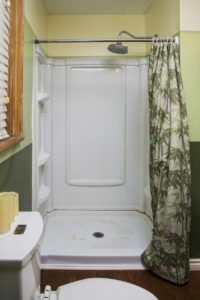 After reviewing their situation, it was decided that a change was needed. So, they decided on a grout-less shower solution and picked out a beautiful Marble-ite feature wall for the back wall, and a plain white shower base to give it an Elegant feeling. 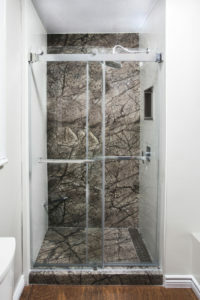 A new Fleurco shower door was installed, along with a Rubi shower valve and niche. There wasn’t space for a big shower bench, so a foot rest from Kartners was added to the corner. 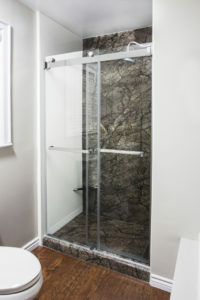 Elegant Bathrooms Stoney Creek has many shower options to offer! So, if you are thinking of renovating just the shower area of your bathroom, Elegant Bathrooms Stoney Creek is here to help! Previous Previous post: Looking to Modernize a Tired Look?